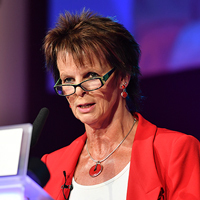 The new minister for apprenticeships and skills is Anne Milton, MP for Guildford, FE Week can exclusively reveal. The Department for Education are expected to confirm the appointment tomorrow, but FE Week understands she is already meeting with key FE sector officials. The ministerial post became vacant after Robert Halfon was sacked yesterday, as exclusively reported by FE Week. Mark Dawe, chief executive of the Association of Employment and Learning Providers, said: “We’re delighted that we have a new skills minister who has taken a close interest in the future for young people in her own constituency and we welcome her to her new post. “The minister will appreciate from a local perspective how vital it is that the reforms work well for smaller businesses as well as Guildford’s large employers that wish to offer young people apprenticeships and so we will be asking her to make the non-levy funding allocations her highest immediate priority. More confusion or more clarity, who decides? It is startling to note that, since the Richard Review of apprenticeships was commissioned, we are on to our fifth minister with responsibility for apprenticeships! The turbulence within our political structures does nothing to support the advancement of what we are led to believe are high government priorities. Indeed I would assert that it is a massive hindrance. “The merry-go-round goes ’round and ’round” …… until it collapses.